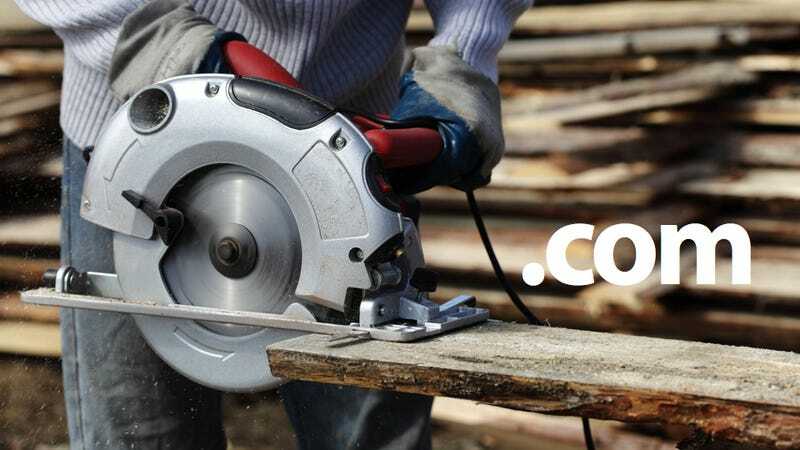 There's a lot to like about shopping for power tools online—good deals, 24/7 convenience, copious reviews, and the ability to quickly compare prices. But there are downsides, too. You can't handle a tool before you buy it, and any used tools you buy might have lived in a truck bed for the past few years. Here are nine tips to help you successfully navigate the online hardware aisle. 1. Ask the tool community. Some tool retailers offer super cheap prices (ahem, Harbor Freight). But the tools are typically not brand names. So how do you know if you're getting a good deal? Read reviews of the particular tool and and also reviews of similar tools by the same no-name manufacturer. "Post a question and ask for feedback on an online tool forum," advises Jason Swanson, VP of communications for Ryobi and Milwaukee's TTI Power Tool Group. The Ridgid Forum is an active board for the pro crowd, the Journal of Light Construction forums are a mix of DIY and pro builders, and Papaw's Wrench is an active tool talk group that discusses things like wrenches your papaw might have used. 2. Buy cheap if it'll be used infrequently. When buying a machine you want to use for years, like a drill or circular saw, spend the money for a quality tool. But if you need a tool for a specific project and probably won't use it much after that, save some cash. "If you're not using these tools for your job, or if you're a homeowner who does weekend projects, the cheaper tools are the way to go," says Diana Guilicka, president of DHGTools.com, an online site for hand and power tools. "It doesn't make a lot of sense to pay a lot of money for a product you use once or twice over the summer." 3. Stick with a system. Save money by buying into a brand that lets you use the same battery for multiple tools. That way, you only have to buy one costly battery and charger, then you can buy relatively inexpensive bare tool bodies without batteries. The savings can be substantial—at ToolBarn.com, a Milwaukee 18-volt drill/driver with two batteries and a charger costs $265, but the same drill sold as a bare tool with no batteries is only $115. "Once you buy into a system, you don't have to buy an additional battery with every purchase," Swanson says. 4. Name brands are name brands. Tool brands that have a strong reputation are almost always a good option, and they're oftentimes less expensive online. "It's all about looking at brand names and checking prices," Guilicka points out. It varies regionally, personally, and even by the tool category, but Milwaukee, Bosch, and Makita are a few generally reliable brands—among many others. 5. Consider refurbished tools. Online retailers often sell refurbished tools, which are tools returned to the manufacturer and then fixed to like-new condition. The tools are less expensive than brand new ones, but they should work just as well. "They are perfectly good tools and still have a good warranty from the manufacturer," Guilicka says. Key word: warranty. 6. Test in stores, buy online. All due respect to mom and pop hardware stores, but sometimes shopping online is the only way to really get what you need. If you already have compatible battery and just need a bare tool body—or you want to get a tool that's substantially cheaper because it's rebuilt—you'll usually be purchasing via the internet. As a smart consumer, though, you should first try out the products in-store. That behavior irks brick-and-mortar store owners. On the other hand, it definitely doesn't bother online tool merchant Guilicka, who advises: "Go to a store and try it out!" 7. Know what you're getting. Carefully read a tool's details online, whether buying used on eBay or new on Amazon. Sometimes a tool is substantially cheaper online because it's rebuilt, the tool comes without a battery and charger, or it's a different version than what you saw in a store. Look at the model number, see what accessories come with it, check to make sure it's the new tool you want, and read over the warranty. 8. Consider shipping costs. Delivery prices can sometimes wipe out the savings on a tool. "Look at shipping choices," Guilicka says, noting that geography and shipping options can play a big part in the overall price. See if you can get free shipping by spending a certain amount. Look at alternate sites to see if you can find the same tool price at better shipping rates. 9. Plan ahead. If you're planning a project and need a tool, order it well in advance. The arrival dates from smaller online retailers aren't an exact science. So unless you want to splurge on overnight shipping, just assume you'll be waiting a week or more for your tool. Image credit: Shutterstock via Chepko Danil Vitalevich.